This ancient old game is derived from a game used in India for religious instruction. 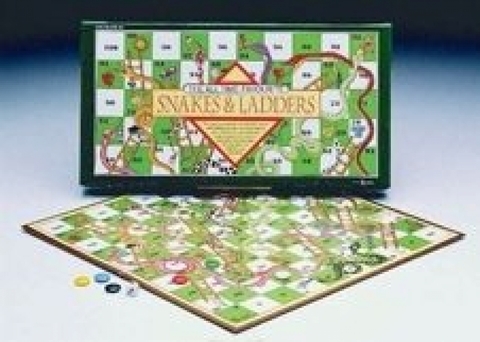 The ladders symbolize progress and snakes symbolize discipline. Great for young children and families, it provides the thrills of climbing and falling as one works toward the 100 mark goal.